If teamwork is so great, why is working in a team so hard? What’s wrong with teams today? Brooks’ Law: Adding more people to a late software project makes it later. In his groundbreaking book, The Mythical Man-Month: Essays on Software Engineering, author Fred Brooks observed that adding members to a team led to additional communication and coordination overhead, as the lines of connection and responsibility increased. This effect was so pronounced that it became known as Brooks’ Law: Adding more people to a late software project makes it later. Although Brooks’ focus was on software development, his ‘law’ holds true for any group working toward a common goal: As teams grow in size, it becomes increasingly difficult to keep everyone on the same page. Emails may go unnoticed, announcements may be overlooked, and it can be almost impossible to schedule full team meetings. And as transparency between team members breaks down, opportunities for real innovation and partnership are missed. Teams that are not operating at their most efficient and collaborative level contribute to a huge loss in productivity, missed revenue opportunities, and a decrease in customer satisfaction. As a result, the entire company suffers. What if there was a way for teams to share, learn, and work together more efficiently? To help teams see the bigger picture and keep everyone in the loop, we’ve introduced an exciting new feature to Evernote Business, called Spaces. By changing the way people interact with notes and notebooks, spaces redefine how productive teams share and access information, and get things done. A space is a shared, central hub for all the information your team needs to turn ideas into action and move projects forward. You can create a space for a project, team, or topic, and fill it with notes, notebooks, documents, PDFs, images, audio… the list goes on. Invite anyone in your Evernote Business account to join the space to give them access to everything that’s in there. As a home for all your team’s work, your spaces get everyone on the same page. The information the whole team needs is easily accessible and always at everyone’s fingertips. In developing Spaces for Evernote Business, we’ve identified the following five pain points that are common to many teams. By addressing and resolving each of them, Spaces allows teams to work better together, and finally reach their full potential. Until the turn of the 20th Century, human knowledge doubled roughly every 100 years, according to author Buckminster Fuller. After 1900, however, what had been a linear expression changed to an exponential one. As a result, by 2025, the sum total of all human knowledge will be doubling every day. If you think that this is merely an intellectual exercise, think again; it actually has huge, real-world implications. IDC estimates that today’s knowledge workers spend an average of 2.5 hours every day simply searching for the information they need. That’s time spent not doing actual work! Spaces help to tame this exponential growth by giving you a central location for all the information your team needs to get the job done. When you save everything in a space—including links, documents, images, and PDFs—you always know exactly where to find what you’re looking for; no more searching for files scattered across team members’ individual computers, corporate servers, and ‘the cloud.’ You can also put Evernote’s powerful search functionality to good use, drilling down to pinpoint the exact content you need. It’s a fact of corporate life that most employees will eventually move on, as workers are more likely than ever to hop from job to job. When employees leave your company, they take their knowledge with them. You can replace them, but eventually the day comes when no one can remember what lessons were learned from that campaign three years ago—because no one who worked on it is still with the company! But when that knowledge is preserved in a space, you don’t have to worry. Since everything that is relevant to a project or team is shared with everyone who needs to see it, no information is lost. When you complete a project, collect the team’s observations and ‘lessons learned,’ and save them in the space. Refer back to them later to avoid repeating past mistakes or to see what the team did right. You can also bring new hires up to speed in an instant with a single invite. Employees come and go. But saving their notes in a space in Evernote Business means their knowledge doesn’t have to walk out the door with them. As the saying goes, “The early bird gets the worm.” There is enormous incentive today for companies to innovate at speed, to get their products to market before their competitors. But as teams move quickly to achieve this goal, organizational protocols can suffer—and transparency is often the first casualty. One of the many downsides to this ‘need for speed’ is the danger that internal teams will become so unmoored from each other that they end up duplicating the work of others. Even within a single team, members may be working on a project, oblivious to the fact that a colleague is working on the same project! With Evernote Business, the “What’s new” and “Pinned notes” sections in a space help every member see exactly what the team is working on—and what’s most important. And the Space Directory gives everyone in the company visibility into what projects are being worked on at any time. This helps prevent duplication of work, improves productivity, and keeps the whole company aligned. One of the most significant business developments of recent years is the growing trend toward remote work. Thanks in part to faster internet speeds and the desire for a better work-life blend, more people than ever are working outside the traditional office; in fact, companies like GitLab, Buffer, and Zapier have 100% remote workforces. Spaces in Evernote Business let team members stay connected wherever they go. 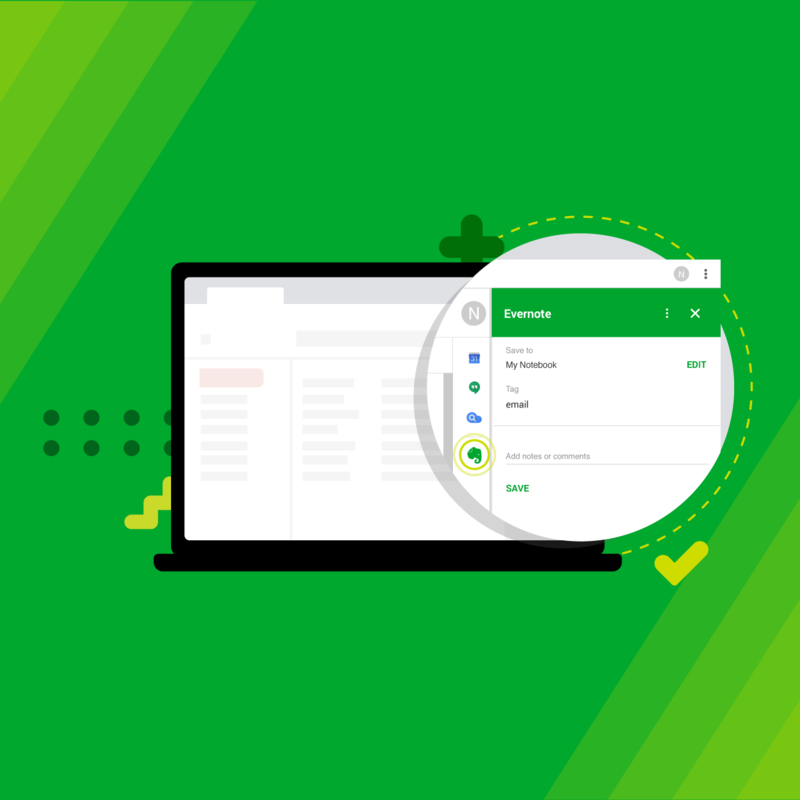 Since Evernote Business syncs automatically across all your devices, everyone always sees the most up-to-date information in a space so vital information doesn’t go overlooked. Here’s one example: When a salesperson on the road adds a new customer order to a space, every member of the space sees it in their “What’s new” section: your billing department back in the office, your warehouse team in the next state, and even your financial analyst working from home. It all happens in the blink of an eye. With your team’s information in a space in Evernote Business, you’ll never miss a step. You’re probably already familiar with the acronym BYOB (Bring Your Own Bottle/Beer). In business, a recent trend has been BYOD (Bring Your Own Device). But now, business culture is moving toward BYOA: Bring Your Own App. Different team members have their own ways of working, and their own favorite tools to get the job done. Increasingly, companies are finding it’s more effective to let employees find and use the apps they love than to try and police them. But information is lost and collaboration suffers when teams need to constantly go back and forth between apps, products, and documents. For BYOA to work, tools must be versatile and flexible enough to suit any team. Evernote Business enhances your existing workflow by integrating with the apps you love, such as Salesforce, Slack, and Google Suite—as well as devices such as Apple Watch and Amazon Echo. Save information from any of these tools directly into Evernote Business, then move them to a space to share your insights with the whole team. We’ll have more to say on each of these individual pain points in the weeks to come. For now, sign up for a free 30-day trial of Evernote Business and see how Spaces can empower your team do its very best work. Evernote Business: All your team’s work in one place. 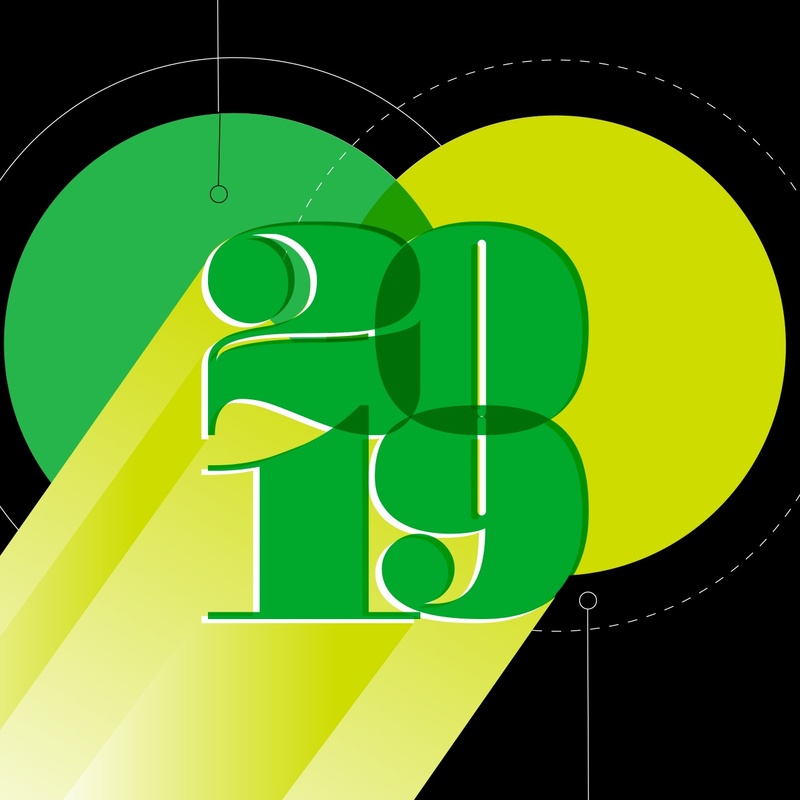 Sixty days in, Evernote's new CEO reviews the state of the company and outlines a path for the year ahead. 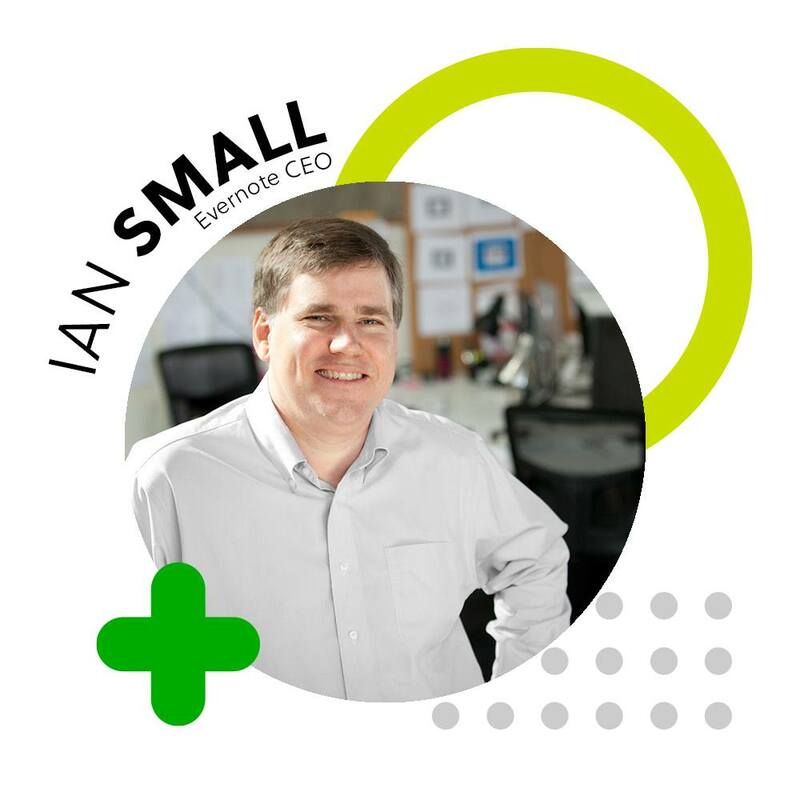 Hi, I’m Ian Small. Today is my first day as CEO of Evernote.